This summer I got a new cherry pitter. Some girls like shoes, I like kitchen gadgets. 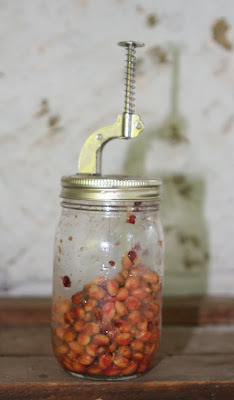 Having a new cherry pitter meant procuring cherries to pit with it. So I got 8 cups of sour cherries and pitted them. 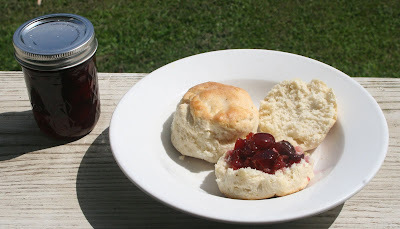 I like my preserves and jams to a bit on the loose side, so I try not to use pectin. 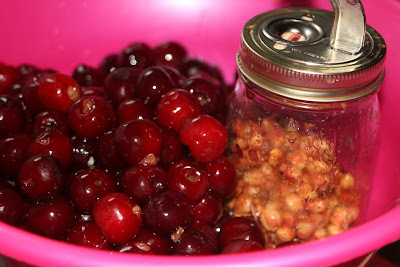 Put the cherries, juice and sugar into a nonreactive canning pan. Cook slowly until the sugar has dissolved. 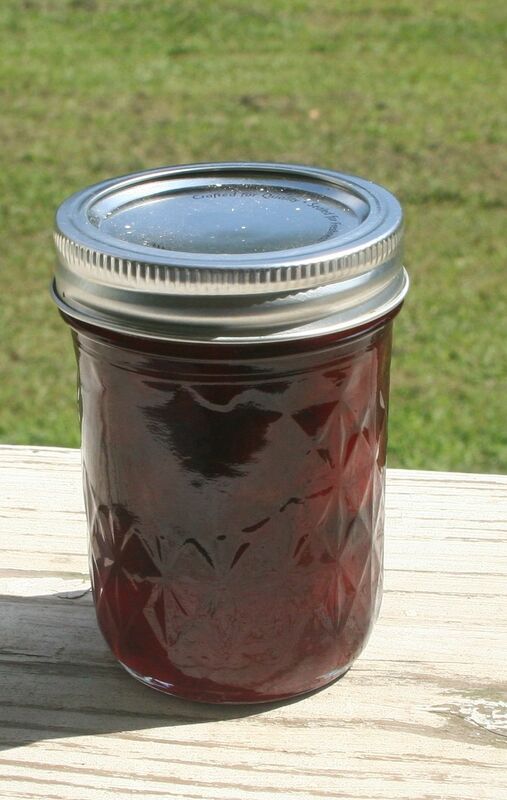 Bring the mixture to a rolling boil and cook until the temperature on a candy thermometer reads 230 F. Fill sterilized jars to with 1/8 inch of the top. Screw on the sterilized jar top and ring and hand tighten. 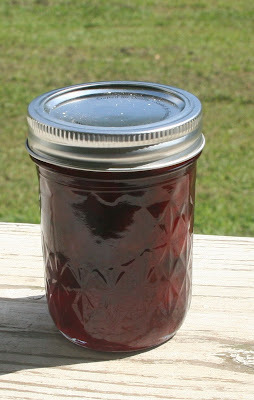 Place in a canning pot of boiling water an inch over the top of the jars. Process for 10 minutes. Remove and cool. Now make some biscuits and sit out on the porch and enjoy.